Here’s what you need to know about event parking, traffic, timing, staging and marching! 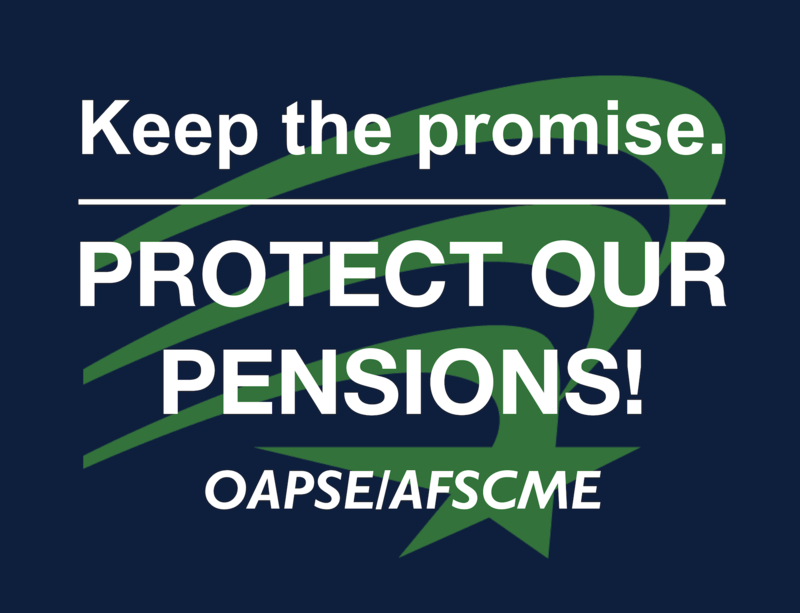 We will meet at the Sheraton Columbus Hotel at Capitol Square, 75 E. State St., Columbus, Ohio 43215. Registration opens at 9:30 a.m. on the second floor of the Sheraton. That’s where you will get your t-shirt. At 10:30 a.m., we will start our day with a brief meeting that will include the latest information on the status of SB151, HB242 and the COLA issue and an overview of the day’s activities. We will provide lunch before we march together across the street to the Statehouse. From there, we will have a short march to the SERS building at 300 E. Broad Street, Columbus, Ohio 43215. OAPSE will pay mileage and parking to drivers, and we are encouraging carpools. Please fill your cars! In addition to your t-shirt and lunch, we will provide $15 to attendees to cover other food expenses during your day. We plan to finish by 3 p.m. so you can beat rush hour traffic out of town. The best parking options are the Statehouse underground garage (entrances on Third Street, State Street and Broad Street), or the Columbus Commons underground garage (entrance is just south of the Sheraton on Third Street). If those lots are full, there is Columbus Commons above-ground parking at Third and Town streets. You can also find surface lots around the area. Meters have a two-hour limit. Traffic Alert!! Idea Columbus/Gemini/Polaris Parkway is holding a grand opening June 7. Heavy traffic is expected on 71 North and 71 South at Ikea Way, just north of the 270 outer belt on the north side of Columbus. Please allow extra time if coming from the Northeast. See you in Columbus on June 7! 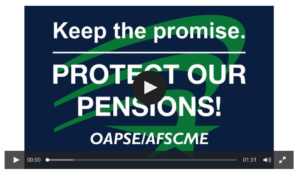 Click below to learn more on the union’s fight to protect pensions.